Heather Johnson Durocher writes from her hometown of Traverse City. She is founder of MichiganRunnerGirl.com, a resource for all things running and living healthy and active in the Great Lakes State. She is the host of the weekly podcast, the Michigan Runner Girl Show. 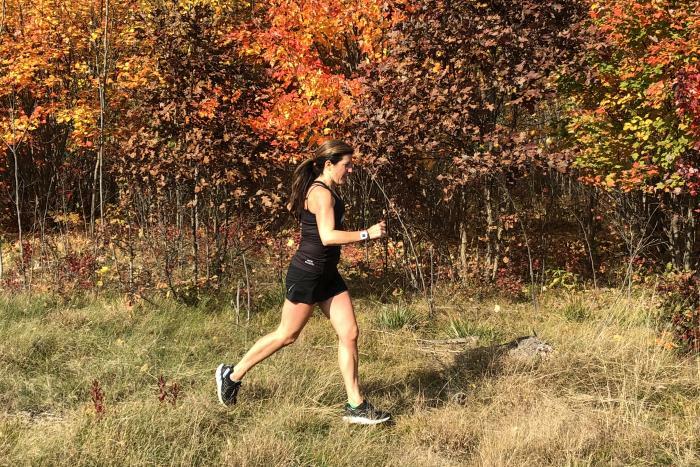 She’s on Facebook, on Instagram and on Twitter @michrunnergirl. 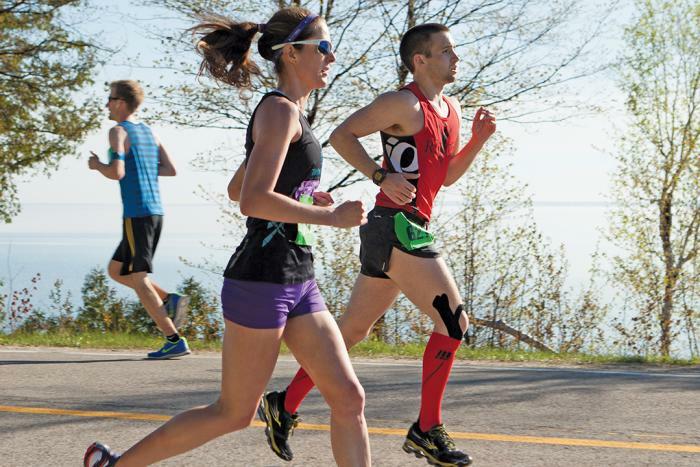 Email Heather at heather@michiganrunnergirl.com. 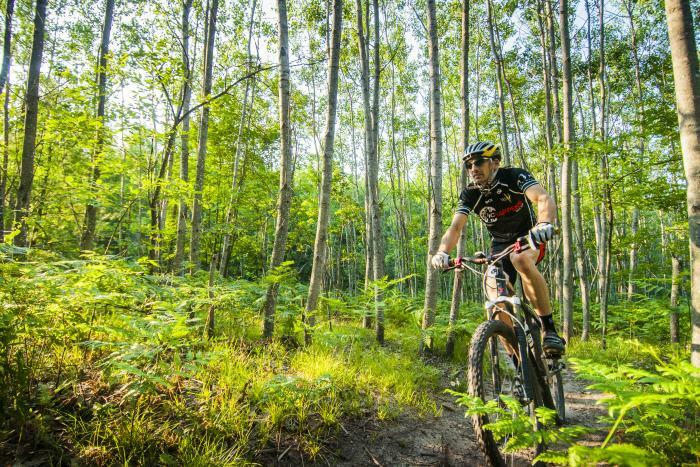 Northern Michigan’s wooded, winding trails are second to none, and the Vasa on the east side of Traverse City holds an extra special place in my heart. I grew up with these trails literally in my backyard and years later fell in love with running and mountain biking on these paths meandering through the Pere Marquette State Forest. Getting out on the trails come winter is its own kind of beautiful experience. A quiet path blanketed with snow, sunshine piercing through the ice-encrusted branches, snowshoes crunching along the path the only sound I hear … and, oh, the fresh, cold air. It’s crisper and cleaner during our most frigid months. There’s nothing quite like breaking a sweat during a long, satisfying run come autumn, when the sun shines and the air cools. 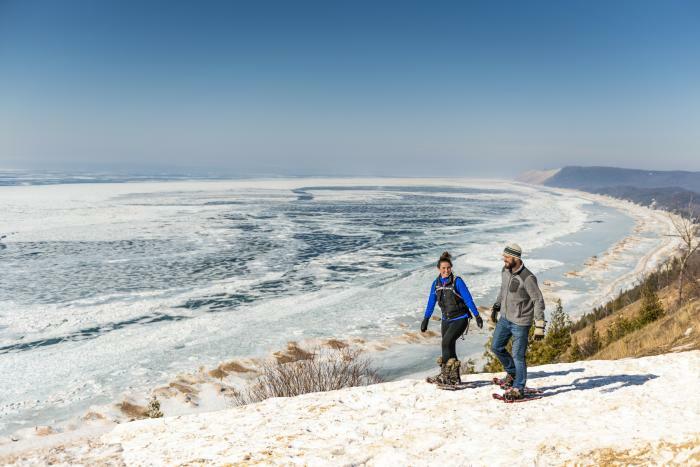 Fall is an ideal time for outdoor exploring in northern Michigan, not only for its just-right temps but for its amazing views around every corner. It&apos;s Almost Go Time at the Bayshore Marathon! We’re standing in the middle of a closed street, at times jumping up and down a bit, shifting our weight from side to side, and holding our crossed arms to our chests to warm up on this brisk late May morning. We’re checking and re-checking our watches, adjusting earphones and iPhones, chatting with one another, or maybe just staring straight ahead, alone in our thoughts as we wait for the final countdown to the race start. The excitement and nervous-tension is palpable. In the midst of the morning rush—breakfast-making, backpack-grabbing, everyone scattering in different directions for the day—I remember to pull out a favorite pair of black running shorts and a red short-sleeve top to take with me. And shoes. Don’t forget your running shoes. 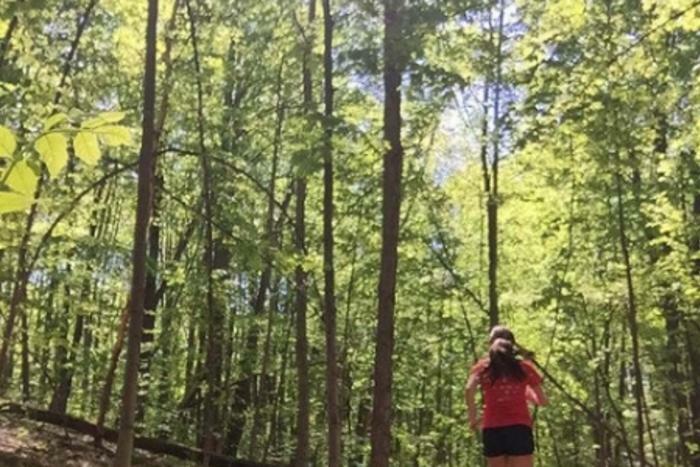 While I often log miles from my house on the east side of town—the Vasa Pathway, one of our area’s premier trail systems, is within steps of our neighborhood—I like mixing up my running routine and will head to favorite routes throughout Traverse City.